Serving Upstate New York and Beyond Since 2000! 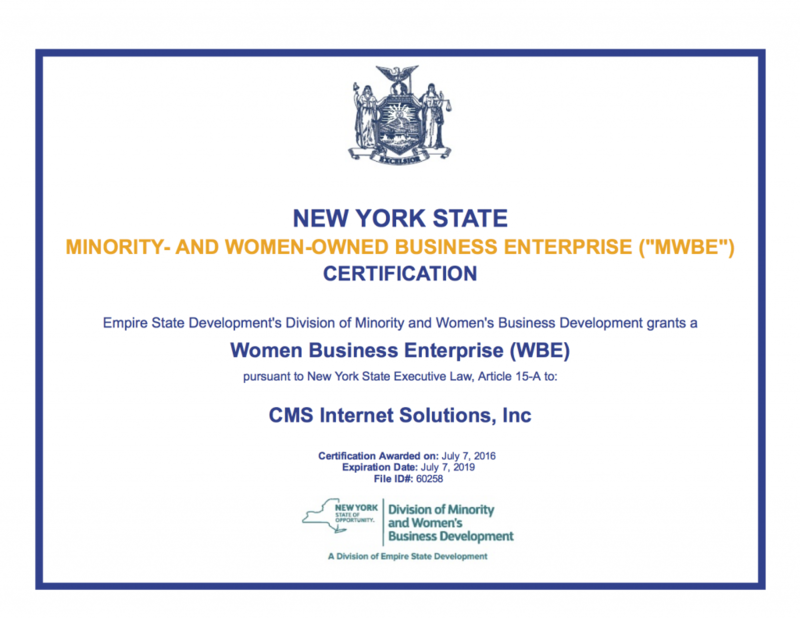 CMS Internet Solutions, Inc. is based in Bovina, NY in Delaware County. Our region is home to a diverse and wide array of small businesses-both established and just beginning. This is why we are here. We ourselves were once a start-up, local business and we have never lost the mindset. CMS is run by business owners who love business, who know business, and who understand what it is to own a business. We know that while a responsive, appropriate, and effective web site is an important part of an overall marketing strategy, we also know that it can not be the only part! And, we happen to be here to help you with all your business marketing needs. Branding, logos, website, advertising campaigns, print design, social media – you name it! With CMS you have access to people who can help you in all your needs to successfully create and cultivate an idea in our communities! Take a look around, check out some of our sites, logos, product labels, and print work. You may know many of our clients, who are really like family to us, and we invite you to contact us to let us know what your idea is! I wanted to post about my friend Brent Trimbell and a new website we developed for him and give him a little Internet juice. So visit Lasting Impression Landscaping and Excavation. He does great work with all the services that are listed on his new website! Responsive web design (often abbreviated to RWD) is a web design approach aimed at crafting sites to provide an optimal viewing experience—easy reading and navigation with a minimum of resizing, panning, and scrolling—across a wide range of devices (from desktop computer monitors to mobile phones). "Working with Craig and Sue of CMS Internet Solutions, Inc. has been a dream. Developing and designing a website can easily and quickly become a nightmare, but with their thoughtful approach, fast response and respect for our modest budget, our Chamber members and our area in general, has a website that is not only attractive and useful, but one that represents us in a professional and interesting manner to the rest of the world." "CMS Internet Solutions is far more than a web-design firm. Over the past year they have become a part of both our business, and our family. When we had an idea of opening up a bed and breakfast, and knew that we would need a web page..."
Aside from but certainly not limited to the professionalism, knowledge, creativity and new ideas, a new Internet presence was created. What began as a working relationship has certainly grown to a working friendship. To anyone looking for a new website designer, manager, and host you need to look no further..."
"Susan’s graphic work is wonderful! She “gets it” in oh so many ways: layout, color, timing, and the nearly impossible need for revisions revisions revisions. She is smart, responsive, and detail oriented beyond belief. And critically important, she has a great sense of humor. It is more than a pleasure to be working with CMS…"
With the help of CMS Internet Solutions the task of updating our organizations website was by far much easier than ever expected. Sue and Craig are great at what they do. We provided them with the general information and layout we were interested in, and they ran with it. Their service is excellent and working with a local business was an added benefit; they came to our facility to meet us in person and gain a better understanding of the services we provide. Overall I would recommend CMS Internet Solutions to any business looking to update or create a website; they were flexible, prompt and very knowledgeable.